If one of these events or dates doesn’t quite work for you, give us a call and we will see what we can do … especially if you have a group of 4 or more. We are also partnering with Prairie Earth Tours and Pioneer Bluffs to provide our guests an option for learning more about the Flint Hills outside the Flying W Ranch. See more detail toward the bottom of this page. Cattle Drives start in the morning and are typically 3 - 4 hours long through pastures and along country roads. The drive length and activities included will vary from drive to drive depending on what the herd needs at the time. We will be driving between 50 and 150 head of Longhorn Cattle through some of the most scenic areas of the Flint Hills. The price includes lodging, campfire and s'mores the night before, breakfast, horse, tack, guided cattle drive, and lunch. Drives take place rain or shine. Unlike traditional nose to tail trail rides, our horseback riding is done on the backs of retired ranch horses through the wide open tallgrass prairie of the Kansas Flint Hills. Add a beautiful sunset to your ride and you have an experience not to miss. We have put together a comprehensive package that includes supper, a memorable 2 hour ride, campfire with s'mores, and accommodation the night after the ride. Our moonlight horseback rides have been some of our most popular events over the years. 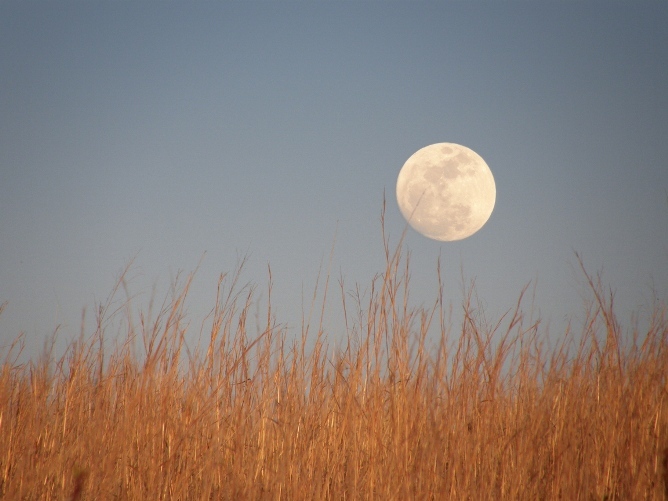 Riding horseback through the tallgrass prairie while watching the moon rise is a special experience. The package includes supper, entertainment, and an overnight stay. Don't miss the opportunity to join us for this unique Flint Hills experience. Pioneer Bluffs is a nonprofit historic ranch headquarters near Matfield Green. Its focus is to preserve the legacy of the ranch families who settled the Flint Hills through educational and community programs. 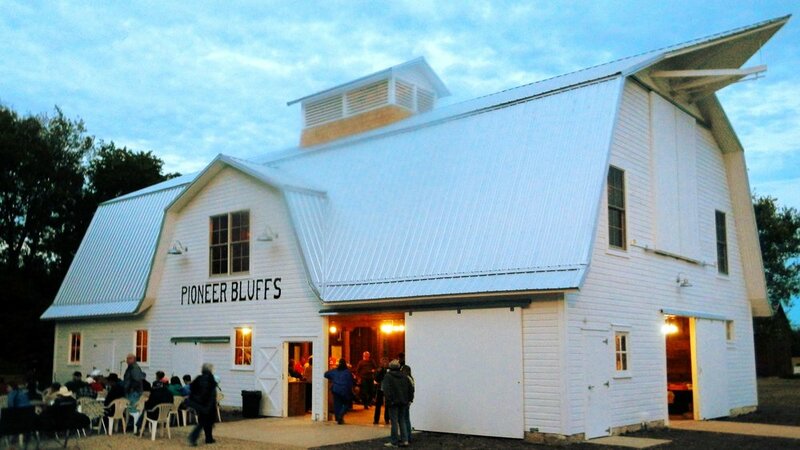 Create your own story – Pioneer Bluffs is available for group tours and private rental, including unique rustic barn weddings.